Warehouses ordinarily have huge unused ranges of unutilized rooftop space and feature broad lightning and refrigeration establishment. Distribution centers may likewise be in off-grid or grid-scare locations, making depend heavily on diesel power. 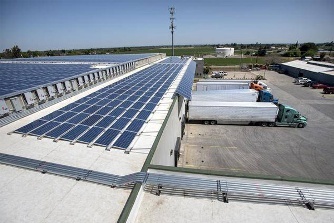 Solar panels for warehouses can make 30% of ware houses electricity requirement and also can reduce the electricity bills.